Tony Dingwall was in action for Ross County. Dingwall joined City on a month-long temporary deal last month and has started all three games for the League 2 side since. The 23-year-old recently returned to fitness following a cruciate ligament injury that kept him out since March and he has been thankful for the chance to get back up to speed as per Staggies manager Owen Coyle’s instructions. Dingwall said: “Me and the manager at Ross County had a conversation and he just said I was going to need at least four or five games to get up to game speed after being out injured for so long. “He told me the Elgin manager had phoned him and it’s easy for me because it’s reasonably close. “He thought the best thing for me would be to go out there and play at a competitive level. “The under-20s games are competitive but he said he would rather me play at Elgin for the month rather than play four under-20s games. “Because it’s not full-time it allows me to train every day at Ross County with him. It worked out for me, for the manager and for Elgin. 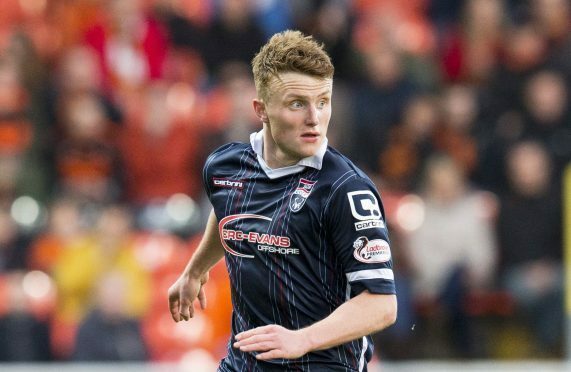 “It’s been really good for me and hopefully it will work out at Ross County after. Dingwall suffered his injury in training, and despite falling out of favour under previous County manager Jim McIntyre he hopes he has done enough to impress Coyle, with his contract with his hometown team ending next month. Dingwall added: “Injuries are obviously never nice. When you first hear about it and you know it’s going to be long-term, it’s not nice to hear. “Speaking to the manager, he said when he came in it’s a clean slate for all players. He will judge us on what he sees. In the meantime Dingwall is determined to help Gavin Price’s Elgin bounce back from their 2-0 loss at Annan Athletic last week when they host the Citizens today, and he added: “All the boys at Elgin are brilliant. “I know a few of them – Darryl McHardy was here was here when he was younger, while I played against Thomas Reilly all the way through the youths so I know him too. “Last week against Annan, although we got beaten we didn’t play that badly in the first-half especially. In the second-half it wasn’t great.